What Makes a Top USA Real Estate Agent? Top Real Estate Agents are typically members of the National Association of Realtors, and able to use the designation, REALTOR®. Along with the right to use the REALTOR® title in their print and digital marketing, the membership offers education, statistics, benefits and discounts with companies that a Real Estate Agent would find beneficial. Most importantly, REALTORS® are held to a higher standard o f ethics. This is not to say that Real Estate Agents are not ethical, it just means that REALTORS® are required to adhere to NARs Code of Ethics. NAR gives it’s members until Dec. 31 of each year to complete the required approved ethic’s course for that year. You can most often distinguish between a Real Estate Agent and a REALTOR®, by the wearing of NAR’s REALTOR® designation pin. Many Real Estate Agent’s fail their first year in the industry because they don’t treat it like the full time job that it is. Being an independent contractor means you are working for yourself. Your success, and your failure ultimately is a result of your actions, or lack of action. The successful Real Estate Agent will tell you that they go to work every day, work a regular schedule and handle their business as a “business”. They set goals, retain business coaches to help grow their business, keep accurate records and maintain mileage logs. Also, the savvy Real Estate Agent is always marketing themselves, and farming for new business through social media, websites and joining local organizations. Many Real Estate Agent’s grow their business by joining their local Chamber of Commerce, BNI Groups and serving on committees withing their local board of REALTORS®. The top Real Estate Agents across the nation work long hours, weekends and holidays. A rewarding career, but also a demanding one. Top Real Estate Agents have to stay up to date with the latest technology to do business in today’s real estate industry. Smart phones, tablets, laptops, and GPS are just a few of the tools you will see a top agent carrying around. Gone are the days of the Broker’s keeping keys at the office that need to be checked out for every showing. Real Estate Agents today also have to carry some type of tech tool that allows them access to the lockboxes used on homes listed for sale. These lockboxes contain the keys to the home for sale. Supra is one brand of lockbox, which is made by GE and operates on an infrared system. This box can be opened from an agents cell phone, or other electronic device. There is also a lockbox made by Sentrilock, which is owned by NAR. Most top agents find the Sentrilock to be superior to the Supra lockbox because it offers more individualized features. The lockboxes of today record who enters the home for sale by the use of the Ekey or Smartphone Application that opens the lockbox. This record provides electronic reports that the Real Estate Agent can use to follow up on showings. This type of follow up is then shared with the homeowner. Sometimes, this follow up is what is needed to get a homeowner on target with pricing or needed repairs. It is a fact, that homes for sale that have a lockbox on the door, get more showings than those that have to wait for the listing agent to be available to let the buyer’s agent in. NAR has reported that the number one complaint from the public when dealing with a Real Estate Agent, is that they never answer or return their calls. The best REALTORS know that their business hangs on keeping good communication habits. They are responsible for being there for their clients questions, scheduling inspections and appraisals. They also may receive calls from other agents about their listings. It is good business to treat co-op agents and brokers with the same respect they would want in return, and many times that starts by simply returning a phone call. Top Real Estate Agents know that the co-op agent phone call is most likely because they have a ready, willing and able buyer for one of their listings. 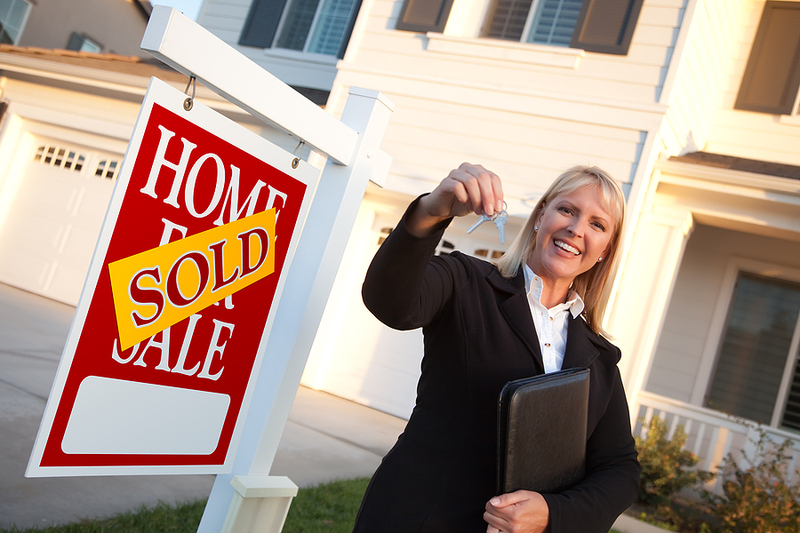 There are many aspects of being a real estate agent. Many of the top real estate agents in the country have a specialty in which they focus on. Choosing a REALTOR that has a definitive area of specialty, where you are buying or selling is a definitive plus . For instances, some agents may focus on a specific neighborhood within a major city, commercial real estate. Some may focus on residential leasing while other focus on residential foreclosures. Today, we see many REALTOR focusing on specific types of properties. For instance, if you are buying or selling a condo, using an agent who specializes in condominium sales is a huge advantage. Dealing with a REALTOR that specializes in condos, you will have an agent who is much more proficient in reviewing condo documents. They may already have relationships with the agents on the HOA board of the local condo complexes. The best Real Estate Agents will tell you, it is not always about the money. Many times, it’s about the relationships that get built. Some of the deals that take the most time, may have the least monetary pay out. Working hard to assist a family in obtaining the American Dream of home ownership is a reward within itself. Though the earning potential is limitless for Top Real Estate Agent’s, they will tell you they worked their way up, and nothing came easy. They will also admit it was worth every late night call and weekend showing. Always treating every client professionally, means they will be more likely to receive referrals from that client. This industry is built on reputation and referral business. Need a Real Estate Pro in Your Area? Connecting consumers with the TOP Real Estate Professionals from across the country.